Located just east of the Church St & Oak Ave intersection. There is a Pay to Park Lot on Oak St. Street Parking is available everyday and is FREE on Sundays! Just west of Metra and CTA Purple Line Davis street stops. 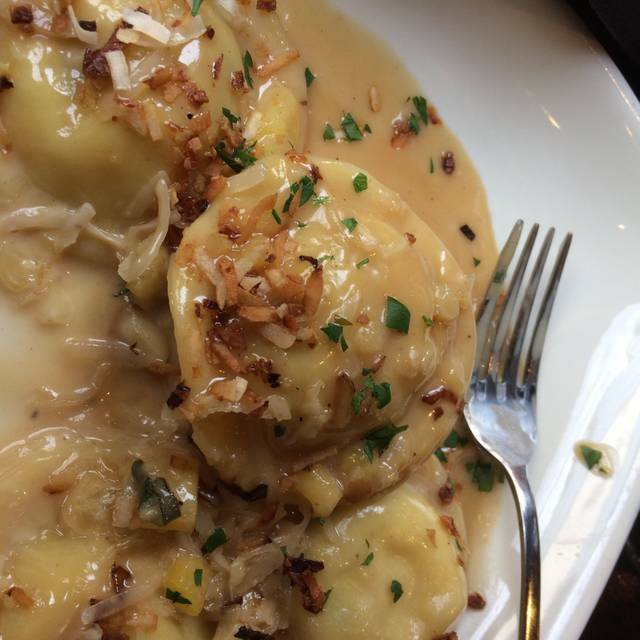 “Rock ‘N Ravioli” serves generations-old Italian recipes and fabulous live music. The Rock ‘N Rav menu features numerous varieties of home-made fillings and sauces including Braised Short Ribs and Potato, Lobster and Asparagus, and Frangelico Creme Sauce on Pumpkin Ravs. 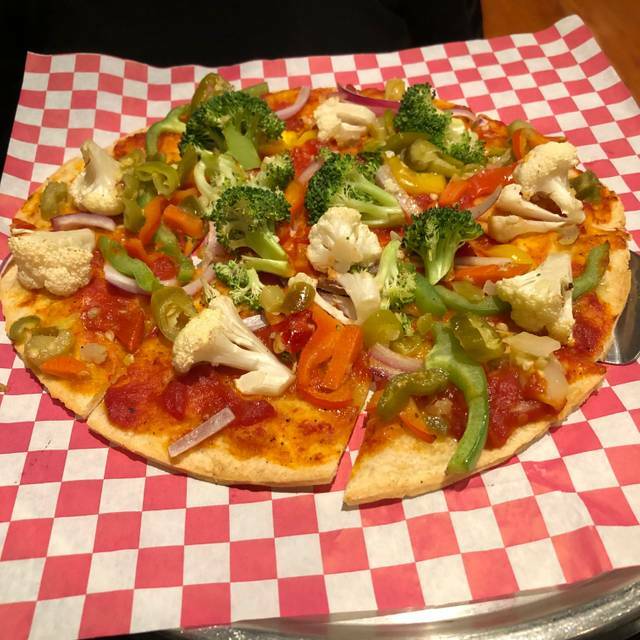 A full menu is available, with a wide variety of small plates to round out the food offerings. Just like Mamma's, served with Sunday Red Gravy and certified fabulous! Flavorful chunks of slow-roasted beef ravioli in a carrot, celery and onion mirepoix and demi-glace sauce – Like my mom's beef stew! A house specialty! Large, succulent chunks of decadently sweet lobster wrapped in fresh pasta served in an oven roasted tomato and fresh garlic sauce with a touch of cream and hint of habanero – guaranteed an AMAZING fresh lobster experience! Da Best Sautéed Mushrooms Ever! 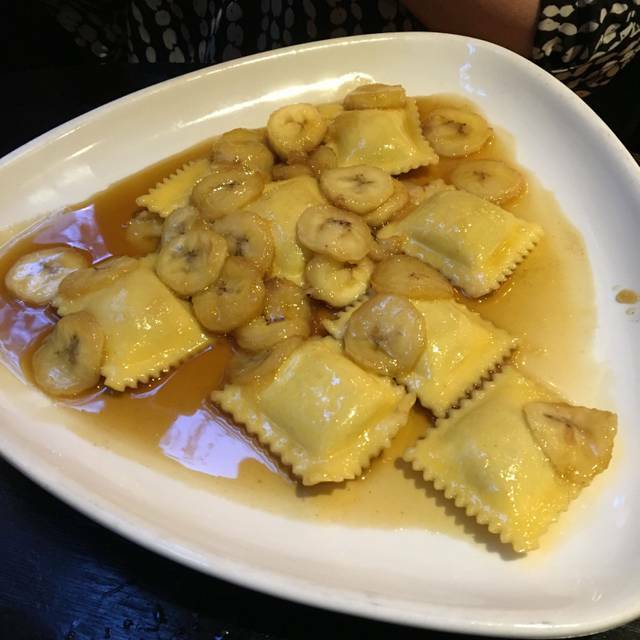 The ravioli was excellent! The reason for the poor rating was service. My friend and I chose to share a salad. All of the salads on the menu had ingredients we didn’t want, so we asked our server for “romaine lettuce, cucumbers, a little red onion, topped with their white balsamic sweet onion dressing”. We received their cucumber salad - with lots of tomatoes, red onion, and cannelloni beans topped with vinegar and oil. I asked our server why they were unable to make what we requested and he told me that we received what we ordered. Really??? There were 4 of us at the table, and we all sat there shocked! My husband and I ordered the tiramisu for dessert. For $8.00, we received a 2x2 inch piece of tiramisu. The ravioli will take me back there- it was that good. But I won’t be ordering salad or dessert anymore! 2nd visit to R&R . 2nd fantastic meal and experience! 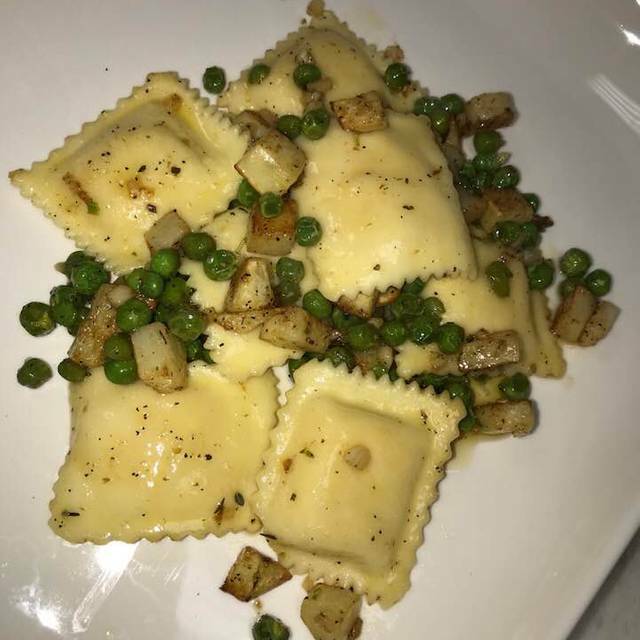 The vegan ravioli is no longer vegan. Have been here several times now that there are even less vegan options we will not be back. We were celebrating 3 birthdays - Sinatra Sunday dinner - we arrived at 5:30 and were the only ones in the restaurant. The food was awesome - service was great except the kitchen forgot one of the orders and we had to wait. Otherwise everything was great! 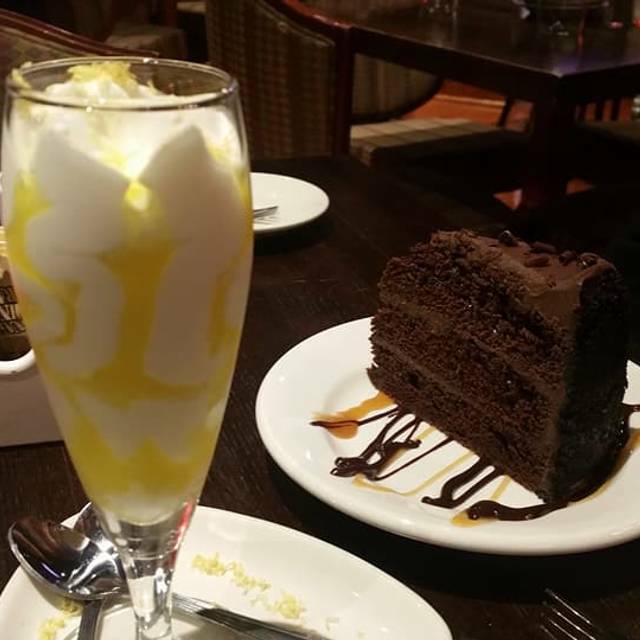 The Sunday dinner special is amazing and the Sinatra singer is not bad - can’t wait to go back. An off-beat view of pasta, so if that is a concern and you are looking for homey but classic far, maybe another choice would be wise. Short rib ravioli might sound good--it sounded good enough for me to order it--but the filling and the sauce were very similar, very little contrast in texture or taste. A friend's meatball hero sandwich was much better, with a nice cole slaw. The toasted ravioli starter was so-so. We were Pretty lukewarm on the whole lunch experience. Also, very hard to tell what the opening hours are, and when we asked the staff seemed a bit unsure. I think the big thing here is music, not food, a different kind of dining experience than the one we like. We left a credit card behind and called two or three times to leave messages about it. Nobody called us back, but when we went back the next day they did have the card. We come here Sunday night for the Sinatra music. Tonight was kind of slow so the singer only did one set. I don't blame him but we were a little disappointed, since he is very good. Some of our food was not hot when it arrived. Also, it was slow in coming. Service was erratic. And it was quite noisy. Love the food and atmosphere. Our server was a bit slow in getting refills, boxes, the check, etc. That is my only complaint. He didn't have that many tables to concentrate on and it just seemed to take too long. We were there for 2 hours and it didn't need to be so long. Otherwise, great! I really liked this place, fun atmosphere and decor. Food was great, loved the Ravioli with Ricotta, artichokes and asparagus..All 4 of us has great meals. Go early before it gets really crowded! Amazing food every time. My friends and family have tried five of their dishes on the menu and each one was better than the other. The only criticism is that because it is next to a music venue, it can get loud when they open up the door. Highly recommend this restaurant. Ron Onesti has created a unique Restaurant and Club once again. 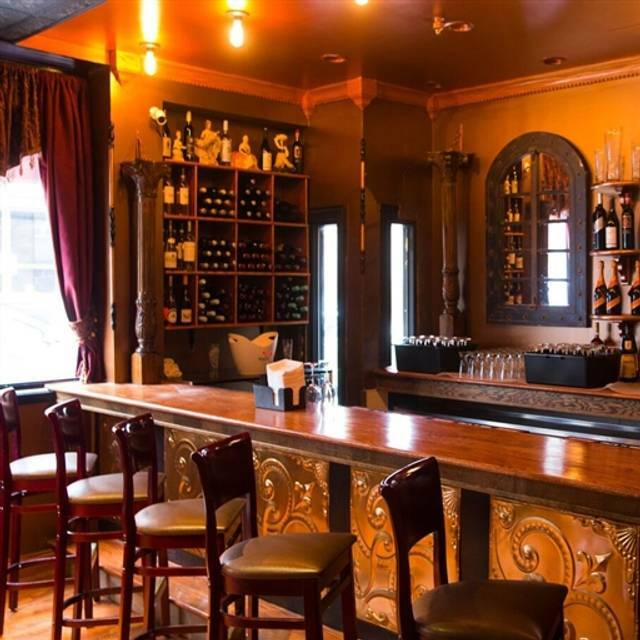 Rock N' Ravioli has wonderful 1920's Ambience and tremendous food. 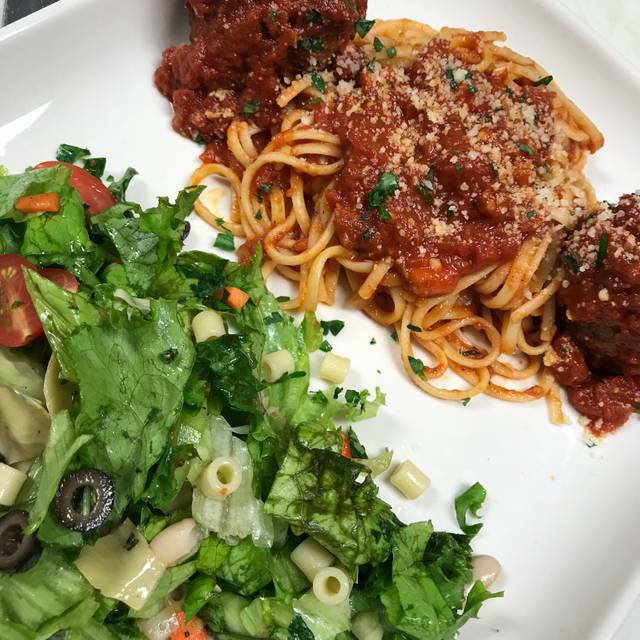 The Meatloaf dish is superb and the Spaghetti with Meatballs and Salad are top notch. The Moscato Wine is a bit pricey but tastes very good. The wait staff is courteous, helpful and friendly. The Club area is unique with vintage photography and the 2 private party rooms are elegantly decorated with the right mix of vintage and modern furniture and decorating. 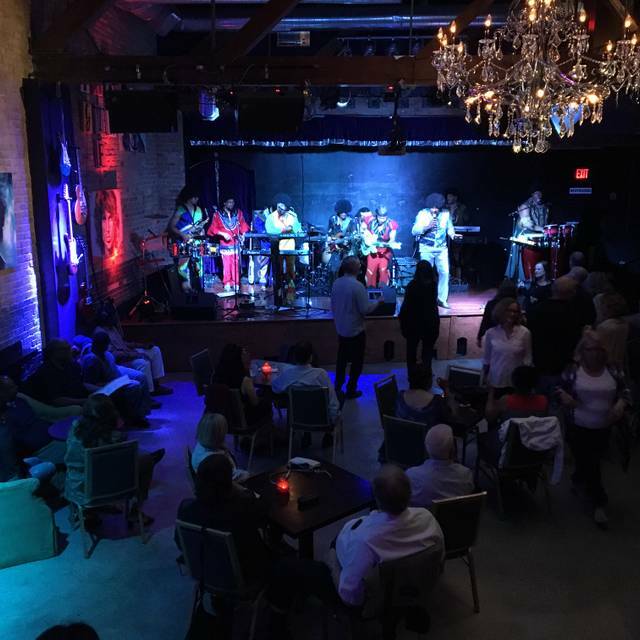 We can't wait to come back and try other dishes on the Menu and stay for a Live Show in this hidden gem of a place in Evanston. I wanted to love the food because I could tell the flavors were there but the temperatures and textures were hit and miss. Of the four entrees we ordered, I think one was hot throughout while,with two others, only the sauce was hot while the pasta/other ingredients were lukewarm, and with one, the pasta was a bit too firm AND lukewarm while the sauce was hot. It's nothing the microwave can't fix at home but it would be nice if they were perfect at the restaurant. The drinks were yummy and the dining space is small but interesting to look at. All is all, I'd give them another try but would stick to some of the cheaper options because the pricier ones we had, didn't quite hit the mark. It was just ok, dishes are kind of pricey (especially for raviolis) but most were good, mine was too salty for me. They had private parties going on so we didn't get to spend time in other rooms or see bands that usually play Saturday's which was one reason we went. Worth checking out but wouldn't go out of my way to go again. What an amazing place! Made dinner reservations prior to a show. The menu is adorable! This go around we had the Mac n cheese and vodka pasta. As a Mac and cheese expert I can say in all honesty that this was the best I ever had! Drinks were paltry for the price though.. but that can be easily remedied. It was not even close to the picture it paints on it's website. First impression, the host asked my name and looked on the list found it, and tried to unsuccessfully to pronounce my last name and then gave up, and said... "whatever"
We were greeted by the waiter, and we ordered drinks. Got our drinks, ordered appetizer and our main dish at the same time. We were almost given the wrong appetizer by the host that couldn't pronounce my name, then she said she would be back with the appetizer we ordered, she never came back. We got our main dish and never got out app. The waiter was very sorry and took it off the bill. The overall experience was not what we expected. I would not recommend Rock N Ravioli to dine. Maybe to see a show, but not specifically for a meal. It was a perfect stop before heading upstairs for the music. I had the mushroom ravioli and I loved it. Sausage and peppers appetizer was excellent. The jalapeño gnocchi was just OK.
We’ll try it on a night with softer music butbin general a great venue. Valentdiner, Glad you enjoyed the venue! Please check out our line up at evanstonrocks to see what kinda of music you might be interested in. Newer restaurant but decor and furniture was worn and dated-not in an antique way. The service was slow and we had to ask for wine we ordered more than once. Server was friendly but the bar seemed to not care. Overall, food was ok and the music venue in the back was nice. Wouldn’t go back to the restaurant. We had the eggplant parmigiana and Caribbean shrimp ravioli. Both were very good. Our server was Bradley and he was excellent as was all of the staff. Engaging wait staff.... good food. Enjoyed wine and cocktails. Fabulous and creative types of ravioli. Excellent service. Nice variety on the menu. Don't waste you money on the food. Very overpriced, not good and small portions for the money. Sausage pizza had a total of 3 pieces of sausauge on it, only enough to feed one person and was over $19. Salad are small too. Too small to share and are around $18 to $20. Total rip off. Squash ravioli was great. Waitress was attentive. And friendly. We visited R&R for the first time as a precursor to our daughters performance at Evanston Rocks, the open mike performance venue next door. Indeed, the music emanating from R&R's neighbor forms a large part of your experience at R&R. And if you happen to be lucky ( we weren't) and catch a decent band, the restaurant is twice the fun. That said, these folks know how to cook up a mouthwatering plate of pasta! I LOVED the mushroom truffle ravioli and my wife went equally delirious for the asparagus ravioli. Our kids, who elevate fussy eating to an art form, loved their buttered noodles. Had they pushed the boat out and dug into the kids menu options, they would have been equally happy. The service didn't disappoint either serving up equal portions of fast and happy. Our kids are already lobbying for a return visit which we will happily accommodate. Particularly if the Stones are playing next door. Food was excellent! Decor was too dark and didn’t fit with menu. Service was very attentive. Owner was on site and spent considerable time with guests. Will definitely be back. Food was great, just disappointed that although we had a reservation, we ended up waiting 15 minutes for the staff to set up our table. Looked like they were unaware of our reservation. Ended up seating us in the music venue space rather than the restaurant. Since it was a lunch reservation, time was limited for us so it was a shame we felt so rushed. The food was delicious. The restaurant is beautiful and it has a concert hall right next door. Our server was amazing and their service was great. We had a great date night there. It's a small place so I highly suggest making a reservation. Great time. Can’t wait to go again. Terrific band! Great food and service. Looking forward to coming back and trying more things. My only criticism was being seated was a bit confusing. And we were seated next to other party when restaurant was not crowded and the other party ( seated at a 2 top) wanted our table (a four top). So a little awkward. So glad I discovered this really cool Evanston spot! 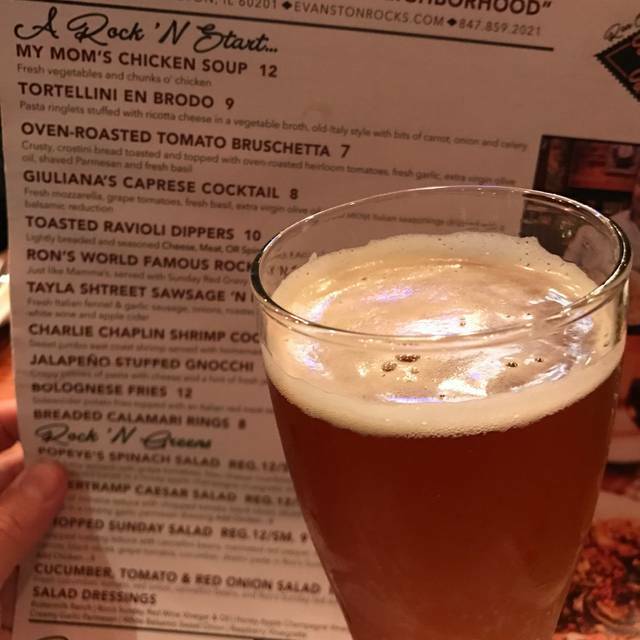 I had a great Italian meal with friends and stayed for the awesome live music from ‘Trouble Ahead’ (Grateful Dead cover-band). Super-psyched. I’ll be back soon! It’s a shame to say it was a bad restaurant because the food was good. It was so slow and the service was mediocre at best. It shouldn’t take over an hour for ravioli and at least 20 minutes for bread and drinks. Excellent selection of food. Nice sized portions. Great quality and reasonable price. Great selection of deserts too. We love this place. Mack and Natalie are top notch. The food is awesome and the speakeasy brings you back to a time where gin and jazz ruled the day. A fun date night or catching up with friends.